Let’s be honest. Things are not looking up for Michigan drivers. As you’ve probably noticed by now, there has been a rather unpleasant wave that has hit the auto insurance industry in the U.S. And Michigan is right at the center of it all. If other states are experiencing a wave, we might just as well call ours a storm. In 2010, drivers were paying an average of $1073 for auto insurance Michigan. It sure felt like a lot of money, especially considering the recession then. We hoped things would get better as the economy improved, and Americans continued buying additional vehicles. It seemed like insurance providers would, of course, reduce their premiums with the expanding market base. At least competition increased as more companies joined the race. But sadly, that’s where the good news ends. Currently, barely 8 years later, insurance premiums have tripled. At an average rate of $3059, Michigan car owners are paying about 70% more compared to other U.S. states. 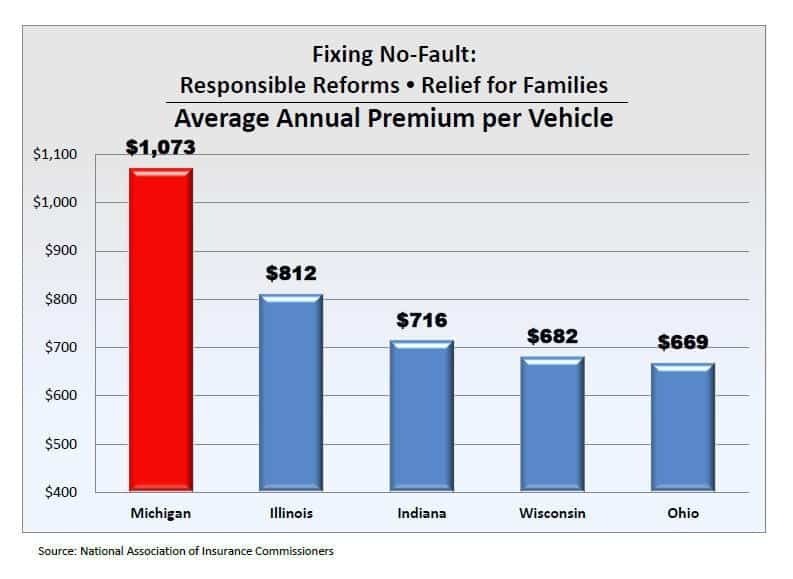 While it’s the most advanced insurance system in the nation, Michigan’s car insurance is indisputably the most expensive. Hence the never-ending debate on repealing the controversial no-fault insurance legislation. But that’s only one half of the story. The legislation only outlines the minimum allowable coverage. But the buck eventually stops with insurance providers. They are largely responsible for the skyrocketing rates. Of course, there are a number of genuine factors that may have triggered the revision of rates across the board. But this only applies to selected providers. Considering the huge disparity between premiums charged by different companies, it’s possible that some might be duping their customers. Despite marketing themselves as protectors, it’s important to remember that insurance providers are still businesses. And making an additional profit is always the goal. But isn’t insurance a heavily regulated industry? That may be true. And the principal reason why the bulk insurance companies will not be swindling you directly. Instead, their agents are using a rather interesting but clever approach. They know that an overwhelming majority of car owners are too busy to learn the nitty-gritty. And they are right. Got to give it to them. Most people are only interested in knowing respective packages and their corresponding prices. Additional details are for the birds. So, in the end, you might be overcharged for your insurance. To make matters worse, it will not be a one-off payment because you’ll make recurrent remittances. The overcharge will, therefore, keep ballooning with each new payment. And that, ultimately, may add up to hundreds of thousands of dollars by the time you move on. If you’re still not keen on the details, you might end up even being overcharged further by a separate provider. So let’s get to it. How can you make sure that you’re not being overcharged for insurance? Nothing is as half as juicy as a prospective customer with zero knowledge about their needs. The less you know about your condition, the more insurance agents will love you. The first thing you’ll probably rely on is Michigan’s laws on auto insurance. But, as we’ve mentioned, those are only guidelines. The legislation won’t tell you what you need. It barely stipulates the minimum every driver should have on the road. In simplest terms, it only addresses standard liabilities. Not what you should protect yourself from. Of course, you can approach a provider seeking the cheapest car insurance in line with the law. But its agents will not take this lying down. They’ll instead use the law as a launching pad. They’ll try convincing you that you’re more vulnerable to numerous other liabilities. Or alternatively, they might drop something along the lines of not selling a distinct minimum package. That to protect their customers adequately, they’ve “attached” additional coverage. So you end up purchasing coverage you didn’t even need in the first place. All under the illusion of “adequately” protecting yourself. The only way out of this is comprehensively evaluating your condition first. Conduct a detailed assessment of your car, its drivers and all the possible risks. This will help you establish likely liabilities, and subsequently the amount of coverage you need. We’ve previously discussed factors used by insurance companies to assess risk. But that only covered the primary elements that apply across the board. You’d be surprised by additional criteria different providers profile their customers on. Even the slightest bit of seemingly negligible information could make a difference. Take defensive driving training, for instance. Even after taking it up, you probably wouldn’t consider it a fact worth briefing your company about. After all, insurance agents are seemingly mostly focused on driving history. But, interestingly, letting the provider in on it could save you about 5 to 20% of your premium. 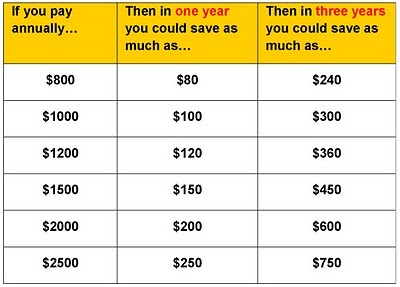 As a matter of fact, car owners who’ve completed the training are saving an average of $142 a month on insurance. Definitely sounds like a great bargain, especially considering the fact that the course would cost you about $40 to enroll. You’ve learnt that women attract lower rates compared to male drivers. You’ve also heard that a married individual is not as risky as a single driver. So your female employee and her married counterpart automatically become the favorite candidates for handling a new company car. Then you ignore all the young, single drivers that would otherwise attract higher premiums on your commercial auto insurance. Unfortunately, risk assessment is not that straightforward. It’s not just a matter of white and black. Of course, it helps to know a thing or two about the risks attached to various driver profiles. But, you would be doing yourself an injustice by analyzing additional drivers according to just one or two criteria. Insurance companies are more thorough. While it’s true that women are considered less risky, many men have still managed to attract cheaper car quotes than their female counterparts. Take, for example, a lady with past traffic violations. Even with an additional wedding ring on her finger, she will still probably attract high premium rates. Especially if her previous offences are as grave as DUI or over-speeding. A male driver with a clean record, on the other hand, could attract a much lower premium. Thanks to a risk assessment process that systematically evaluates all the factors cumulatively. So you might want to pay attention to every single detail before introducing an additional driver to your policy. 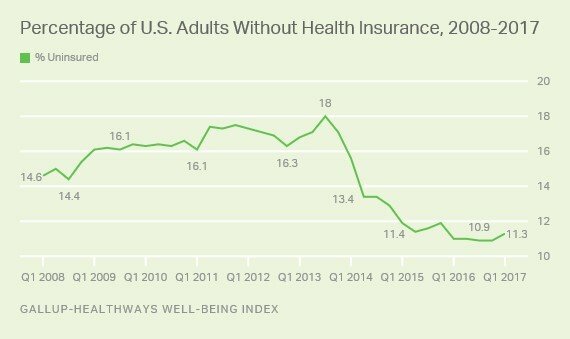 According to a 2017 Gallup Healthways poll, only 11.3% of American adults don’t have health insurance. Consequently marking a significant reduction from the 2013 high of 18%. Evidently, an average driver in Michigan has medical coverage in addition to their auto insurance. Sounds good from a protection point of view. But things start to collide when we shift to the numbers. A good health insurance policy is comprehensive enough to cover even accidental injuries. Including personal injuries that are also addressed by auto insurance companies. Hence a rather confusing grey area. As a result, you could end up paying for protection you are already enjoying through your health insurance coverage. While this is particularly prevalent among individuals insured by separate companies, it’s also possible even when you deal with the same provider. To make matters worse, insurance agents are likely to ignore notifying you in case of any collisions. And that’s why the buck stops with you. It’s critically important to read and understand the fine print in your medical coverage before applying for auto insurance. If your health insurance is solid, purchase only the minimum required injury coverage. This is a direct, and a rather obvious trick to dodge extra insurance charges. Insurance providers, particularly established brands offer a wide range of discounts on many policies. While this is largely beneficial, it presents one problem. The discounts can be so diverse and extensive that it would take you weeks to go through all of them. Possibly more if you’re comparing multiple providers. Even after qualifying for some, there’s a great chance you don’t know about them yet. And sadly, the company might not even inform you. Especially if you’re already a paying customer. Some common discounts you should look out for include being married, upfront payment, bundling, and good student. 41% of insurance companies offer discounts to married individuals. Their average reduction rate is 14%. Paying for your insurance upfront, on the other hand, is highly encouraged by 46% of providers. They offer an average discount of 9%. To encourage customers to purchase multiple covers, many more insurance providers are offering discounts for bundled policies. 68% of them, for instance, reduce premiums by an average rate of 9% if you purchase both homeowners and auto insurance from them. Good students are even favored more because they translate to substantially reduced risks. 77% of providers are already providing discounts to good student drivers. You can knock about 16% off your premium. If you’re strategic and persistent, you might find yourself multiple discounts at the same time. Translating to significantly reduced rates. If you think you’re being overcharged, shopping around should go without saying. Unfortunately, it’s easier said than done. You’ll probably be pretty inquisitive during your first purchase. So you might be curious enough to check around and compare offerings from different providers. But then the drive might start to fade away with each passing year as you get comfortable. Of course, widespread public dissatisfaction with the increasing rates should have all drivers scouting around for alternative options. But according to a survey steered by NerdWallet, this is far from being realized. 38% of car owners haven’t made any efforts to assess their insurance costs in the last three of more years. Shockingly, 17% of them haven’t bothered at all. But insurance companies are not surprised at all. They’ve always relied on this trend. Agents know that their customers are too busy to crawl around in search of quotes by other companies. And in case you feel like doing so, you might be blinded by loyalty incentives. In the end, you might not even have a problem with increased rates as long as they are spread over many years. But it’s all a farce. Nationally, good drivers are being overcharged at an average rate of $416 every year because of this. The worst-hit areas are Connecticut, Michigan and Delaware, with customers losing $1845 annually. Shopping around occasionally, therefore, could eventually save you more than a thousand dollars every 12 months. ● At an average rate of $3059, Michigan car owners are paying about 70% more compared to other U.S. states. ● While it’s the most advanced insurance system in the nation, Michigan’s car insurance is indisputably the most expensive. ● Conduct a detailed assessment of your car, its drivers and all the possible risks. This will help you establish likely liabilities, and subsequently the amount of coverage you need. ● Even the slightest bit of seemingly negligible information could make a difference on cost. ● Insurance companies employ a risk assessment process that systematically evaluates all the factors cumulatively. ● You could end up paying for protection you are already enjoying through your health insurance coverage. ● Some common discounts you should look out for include being married, upfront payment, bundling, and good student. 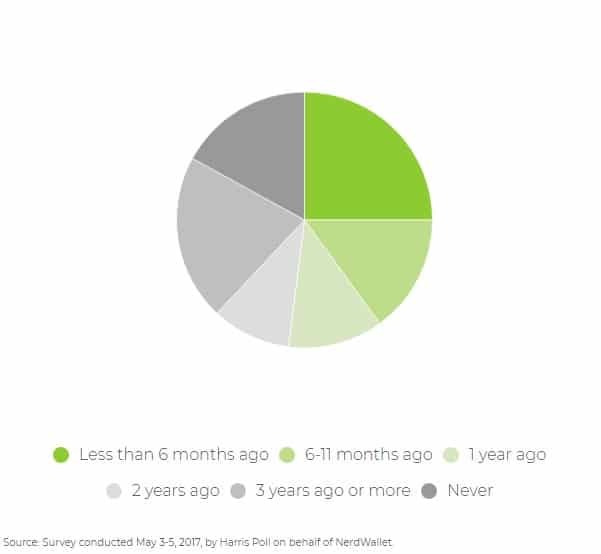 ● 38% of car owners haven’t made any efforts to assess their insurance costs in the last three of more years. Shockingly, 17% of them haven’t bothered at all. Evidently, evaluating your insurance costs is not as easy as it sounds. It becomes even more cumbersome when you have to do it repeatedly to keep everything in check. Thankfully, there’s a much simpler and straightforward way to handle the extensive process. Just hire a reputable independent insurance agency to take care of everything, and further advise you on additional cost saving tricks. Get in touch with us today to learn more.